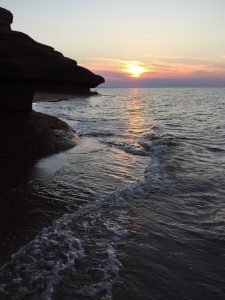 Book The Sand Castle at Thunder Cove! 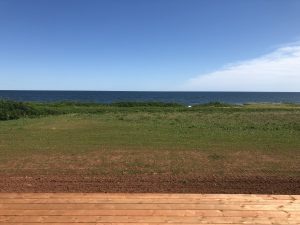 The Sand Castle at Thunder Cove is an impeccable newly built cottage located in Darnley on the beautiful north shore. 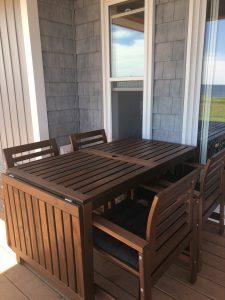 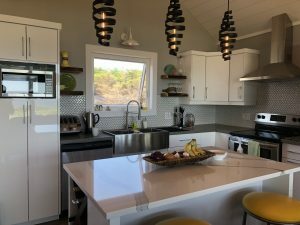 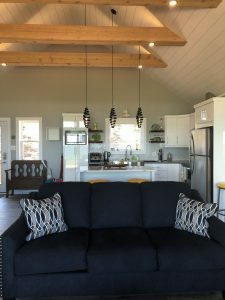 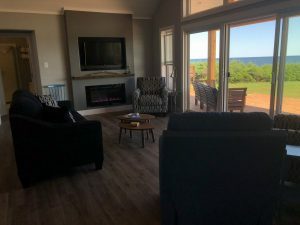 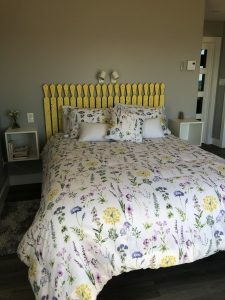 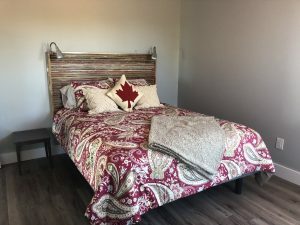 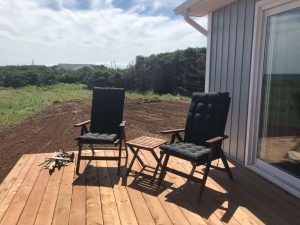 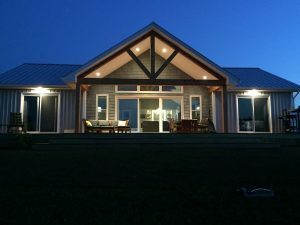 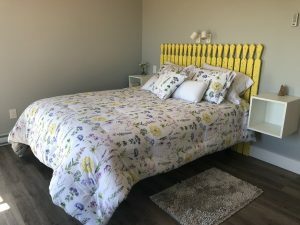 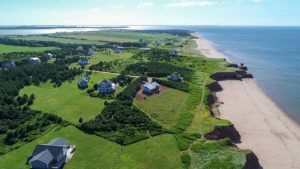 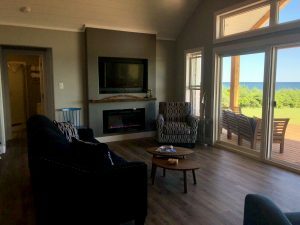 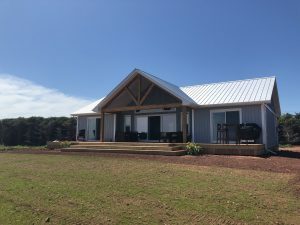 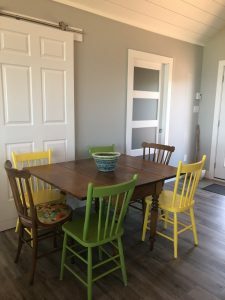 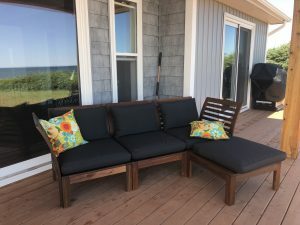 The spacious and modern cottage is the perfect spot to entertain your family or friends during your PEI vacation. 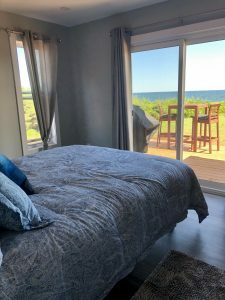 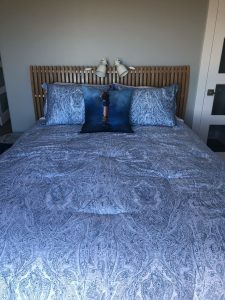 The cottage sleeps 6 comfortably in the 3 spacious bedrooms. 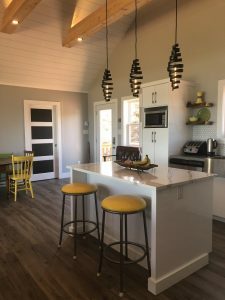 No need to worry about bringing utensils, the fully equipped kitchen has got you covered. 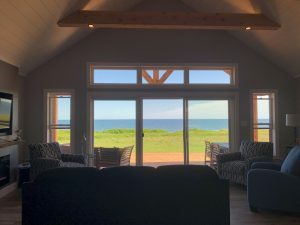 The living room has bright windows to take in the breathtaking views. 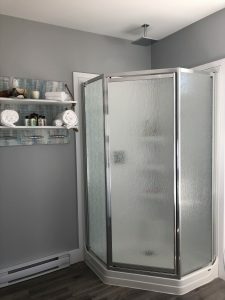 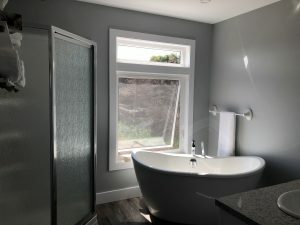 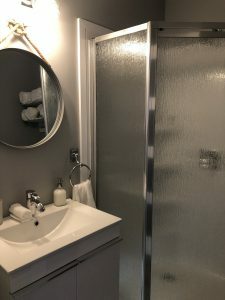 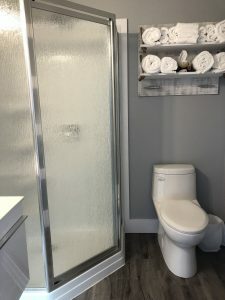 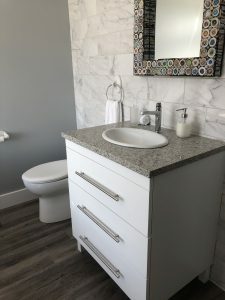 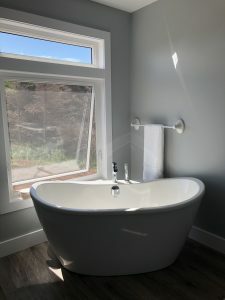 You will also find 2 bathrooms within the cottage. 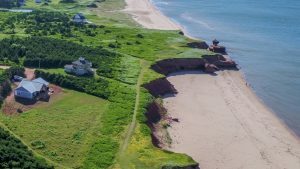 Only a short walk away is Thunder Cove Beach which is like no other. 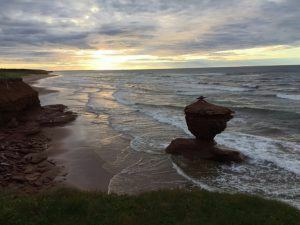 The sandstone cliffs, everchanging caves and unique sea stacks will have you exploring all day long, no matter your age. 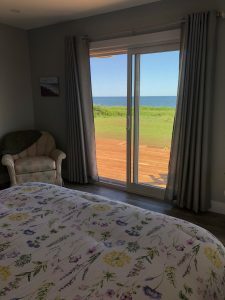 Gaze the cotton candy sunsets dropping over the ocean on the deck once you return from your day at the beach. 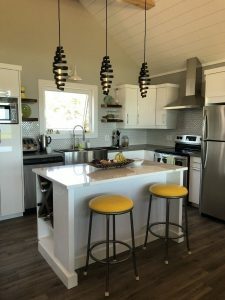 Only 12 minutes away is Mapleque Bay which is famous for their amazing oysters. 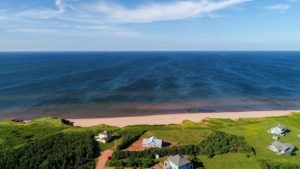 Cabot Beach Provincial Park is located only 14 minutes away where activities can be enjoyed by the whole family. 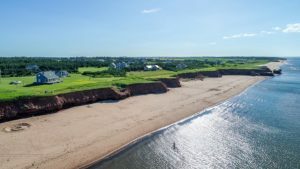 About 3 minutes away is Darnley Greens or Anderson’s Creek is about 25 minutes away, if you are a golf lover. 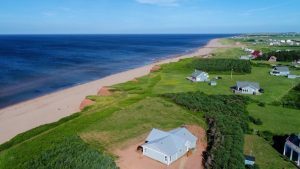 Drive along the Green Gables Shore to find Cavendish for more beaches, entertainment, and restaurants. 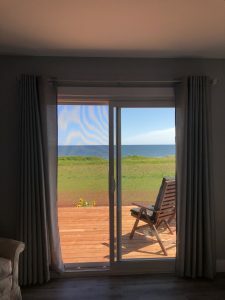 Please inquire today for you dream PEI vacation!